For those who have not experienced the power of the MotionPlus accessory, this bundled package includes both the game and the Wii MotionPlus controller adapter for instant access to the action. 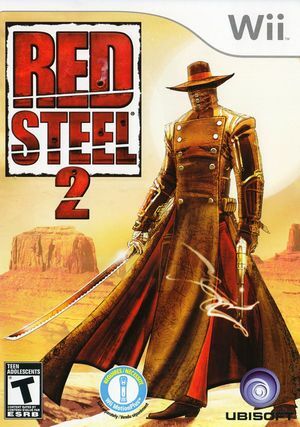 Red Steel 2 uses the VP6 video codec, common in Electronic Arts' titles, causing it's videos to have vertical line artifacts and other glitches on NVIDIA graphics cards. The Software Render will display VP6 video correctly, but is typically too slow. Prior to 4.0-593 video output was completely scrambled, refer issue 5046. Rendering improved with 4.0-593 but a variety of glitches remain, refer issue 7193. VP6 rendering also reacts poorly to the Force Texture Filtering enhancements (and Anisotropic Filtering on NVIDIA), causing further scrambling. The graph below charts the compatibility with Red Steel 2 since Dolphin's 2.0 release, listing revisions only where a compatibility change occurred. r5190 Windows 7 Intel Core i7-920 @ 4.05GHz ATI Radeon HD 4890 The game runs great but when moving around the processing issues in the game result in the game lagging when turning your character around as you will see in the video. This page was last edited on 15 May 2018, at 18:59.